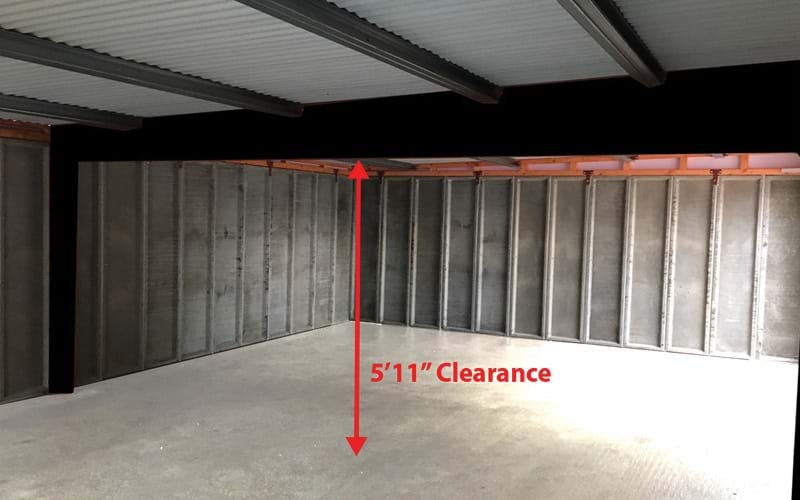 Historically it has only been possible to build a Pent garage up to 20'6 wide without an internal partition wall. This is due to the weight of the roof and trusses. Our design engineers have developed a unique new roof design that means we can supply the ever popular Pent to any width with no internal partition wall required and still have a minimum of 5'11" headroom clearance! 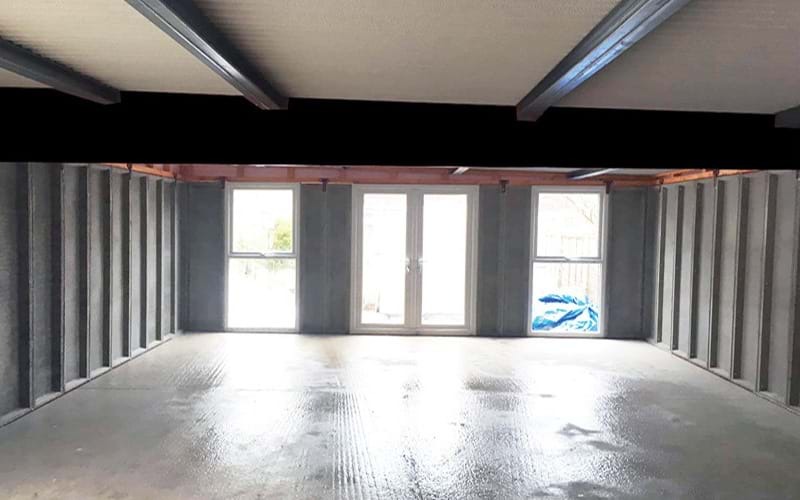 In addition to having great domestic potential, this extended size also has fantastic commercial and light industrial possibilities, for example as the basis of a multi-bay garage workshop! This extended internal area is sure to be a very popular addition to the Pent range. Also being launched in May is a new fully insulated electrically operated roller shutter door available for standard height Apex garages. 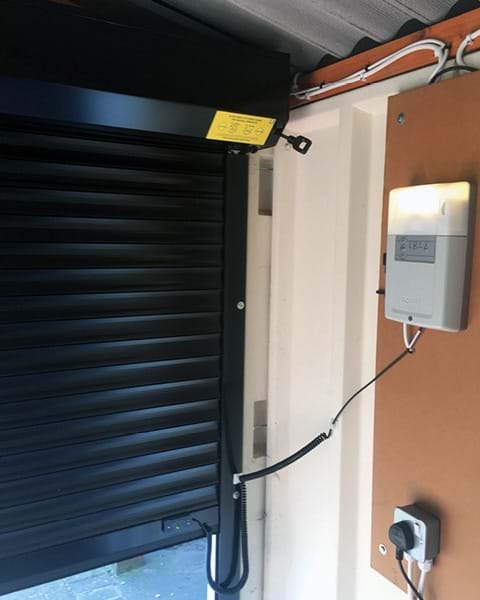 Previously, we fitted roller shutter doors to Apex buildings with higher 7' eaves in order to accommodate the roller door cassette. We were also unable to fit electric operators to any buildings with small 6" front posts as there wasn't the space to fit the motor to the end of the roller. 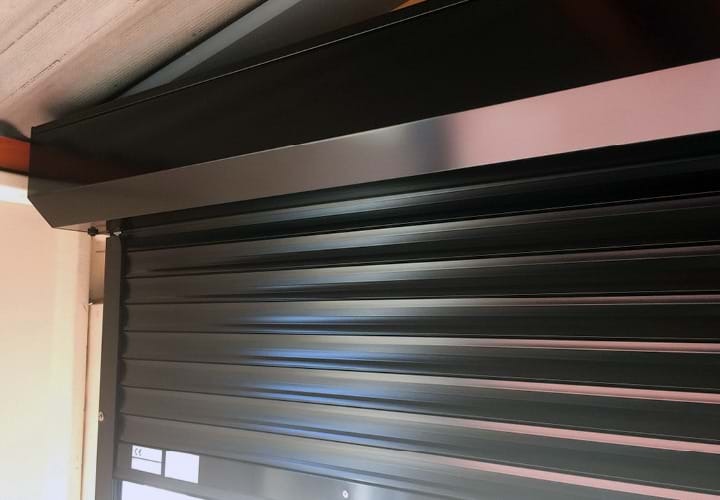 So rather than have a separate door and motor this new configuration is an all in one integrated door and operating system, with the door roller and motor all neatly encased in a steel cover. The door has a generous 5'10" clearance when fully open and is available in 7', 7'6 and 8' widths. 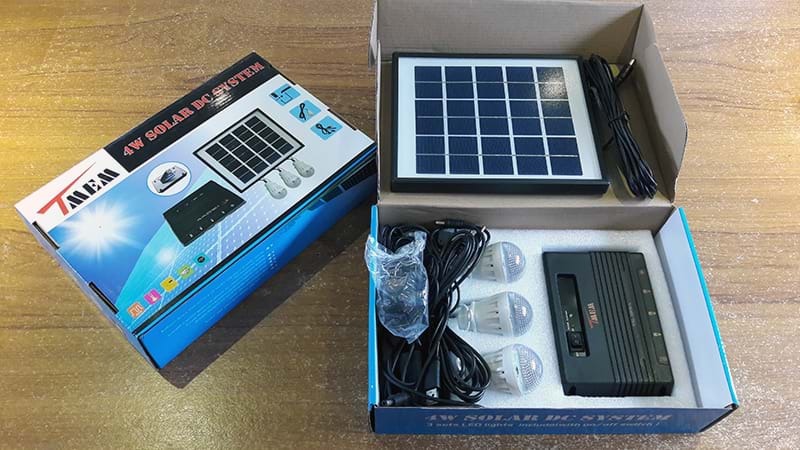 When fully charged this superb unit will provide up to 8 hours of power to the 3 individual LED lights, bringing light to your garden building and giving you the opportunity to keep the battery topped up on your mobile phone whilst you are away from the main power sockets of the home. The new Anthracite Deluxe concrete garage is available in a range of styles. 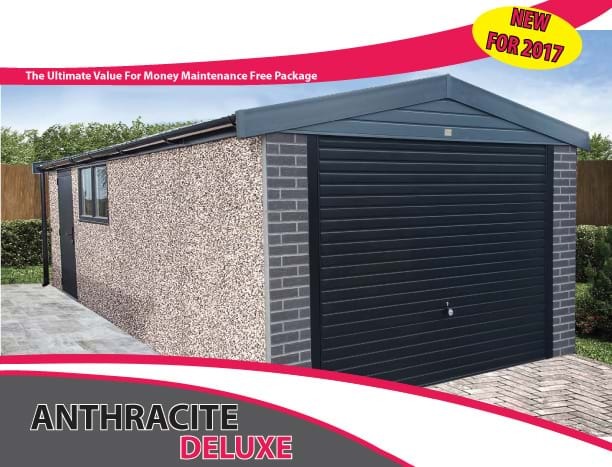 Choose from our best selling Pent flat roofed Anthracite Deluxe concrete garageconcrete garage. The Pent Mansard concrete garage with attractive tile effect front elevation. Or the traditionally shaped Apex pitched roof garage. 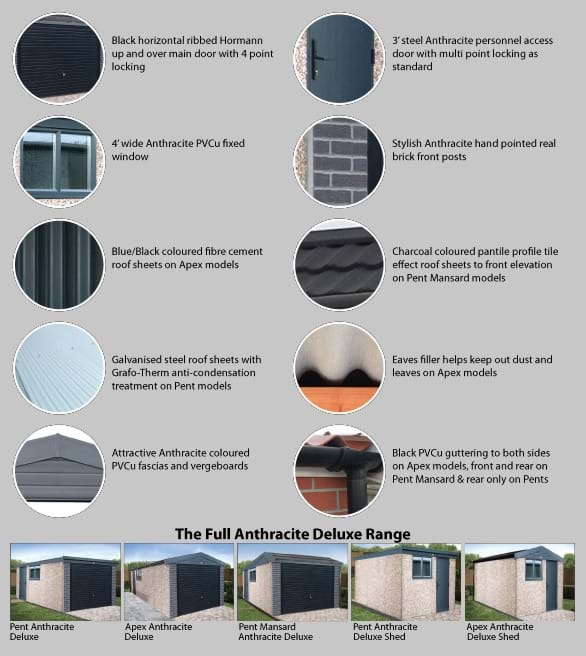 In addition to concrete garages the new Anthracite Deluxe range is available as a Pent or Apex shed with the same great anthracite features. MPG Buildings are really proud of our new LIdgetCompton Apex garage show model, it is finished in the very attractive Garaclad woodgrain effect, meaning that externally you are unable to tell that the building is of a sectional construction. This model has been specified with the increased 7'6" eaves which gives a clear drive through height under the open up & over door of 7'1" / 2.159, making it suitable for taller vehicles. The "Garaclad" maintenance free finish is available in a choice of 6 colours, please see page 26 of the LIdgetCompton brochure. This display model LidgetCompton sectional garage measures 10'6" x 20'3" but is available in numerous different sizes, together with a host optional extras also being available. LidgetCompton buildings are used as home offices, garden rooms, workshops or simply they offer valuable extra dry & secure storage space. The display building was installed and completed over a 2 day period, the first day was the construction of the main structure and then on the second day the "Garaclad" external finish was fixed in place. If you would like to receive a brochure and price list on the superb range of LidgetCompton of buildings, we can send these by either post or email. MPG Buildings and Shaws for Sheds. New for November 2016 MPG Buildings will be displaying and selling the superbly constructed range of Shaws garden buildings. Just like MPG Buildings, Shaws are a family run business who pride themselves on quality and care in every product made and have a wide variety of buildings to suit all needs, whether it’s for storing or general everyday use; Shaws will also manufacture a building to a customer’s own requirements. All Shaws garden buildings are manufactured using only quality materials and are pre-treated using a water based solution, it is recommended that the building is treated again post construction and then again annually. Shaws also offer a range of tanalised sheds, where the timber in these buildings has been impregnated with TANALITH E wood preservative. Shaws continually review their model range and prices to ensure that they always offer one of the best timber garden buildings available, at competitive prices, with the added peace of mind that installation is included. MPG Buildings will post images of our new Shaws display sheds and summerhouses once they are installed.